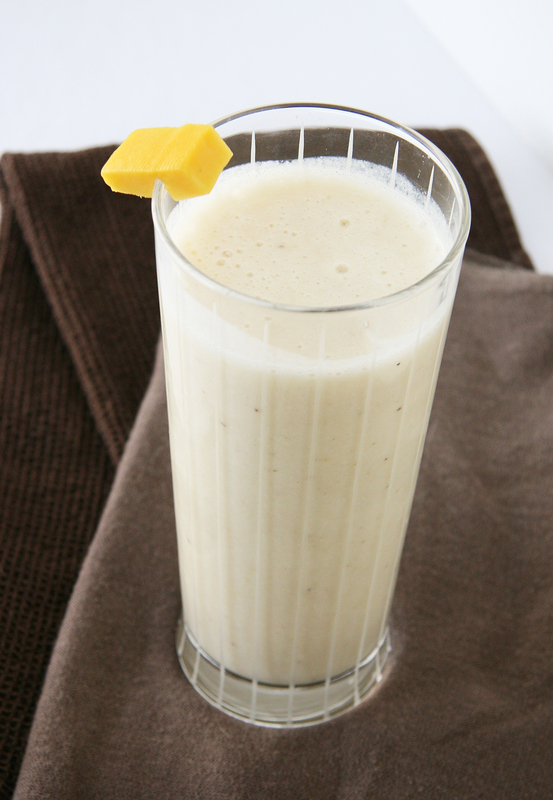 Any way, I noticed it has been a while since I posted a smoothie recipe – sorry if I am little overdue! We make smoothies all the time at our house, but I either forget to write down the recipes and/or take pictures….maybe it has something to do with me taking too long to snap photos so Chris snatches his up before I have a chance to photograph them both. Here’s one of those instances…I was only able to take a picture of mine but I tried! 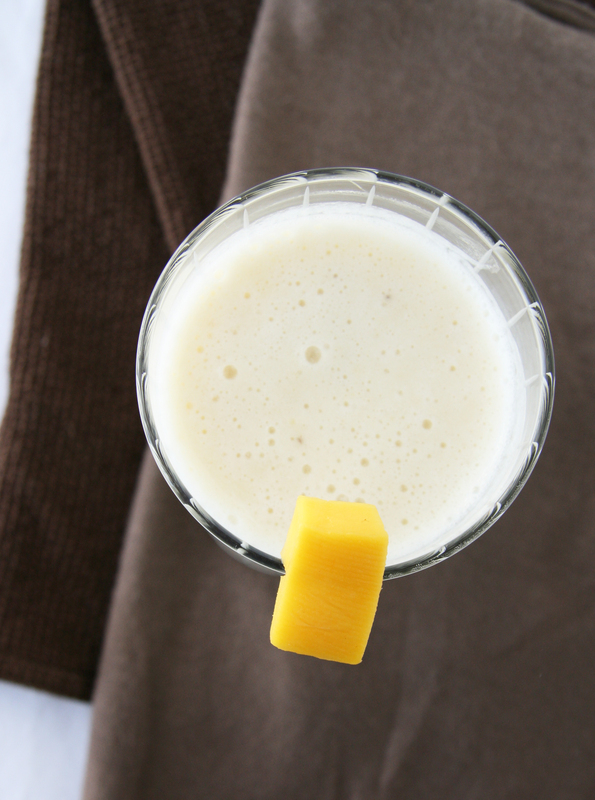 This tropical smoothie is the perfect chilled treat – the blend of sweet mango, creamy banana, slightly tart pineapple and cool coconut milk will transport you to the beach! Maybe that’s a stretch but at least you’ll be wanting to sip this poolside or on the beach 🙂 I like to add a scoop of protein powder and drink it as a recovery shake after a workout or a run, yummy! 1. In a blender, add all ingredients and blend until smooth. (I used my Vitamix when I use frozen fruit) Enjoy! Thanks so much Lindsay! Your photos are always amazing and your recipes always make my mouth water! Funny, it never occurred to me to take pictures of my smoothies… must be ’cause I tend to have them too early in the morning, or maybe it’s because I usually choose to have a one when I am real busy, or going somewhere and taking it with me. That one looks like a winner to me! I’ll have to start looking for “cartoned” coconut milk.